If you live in a major U.S. city, you’ve probably seen a Genesis or two on the streets. Then, you likely thought to yourself ‘is that a Bentley or a 7 Series?.’ If you have, you can thank Hyundai. The South Korean automaker first introduced its flagship luxury sedan a decade ago and is taking strides to make a dent in the luxury sedan segment. In 2014, the second generation of the car was introduced to the masses. 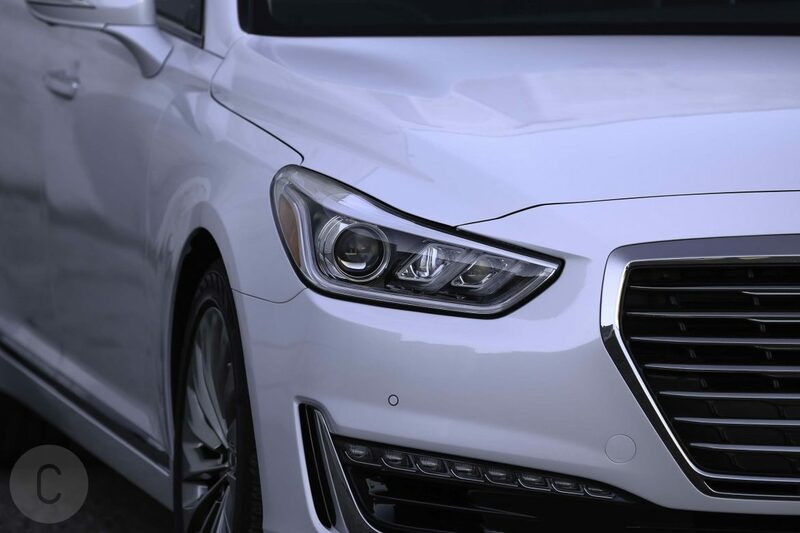 In 2017, Hyundai confidently spun the Genesis into a standalone brand. With a vision to position the 2018 Genesis within a segment dominated by the big boys — Lexus, Mercedes-Benz and BMW — Hyundai is nothing short of a swashbuckling trailblazer. 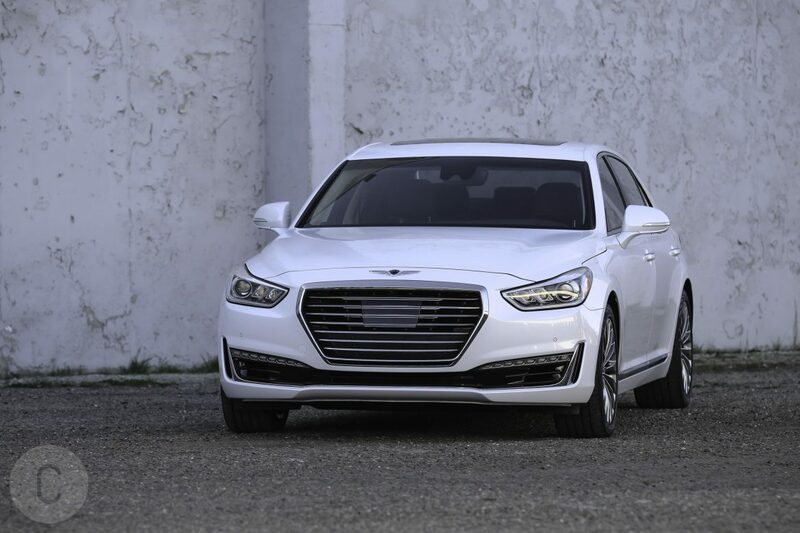 The creme of the Genesis lineup is the bodacious Genesis G90, which features a Lotus Engineering tuned platform and all the tech you’d expect to find in much more expensive rivals. Let’s take a look at what the 2018 Genesis G90 RWD 5.0 Ultimate is all about. Our tester came in Casablanca White and, as expected, looks every bit as regal as that color suggests. 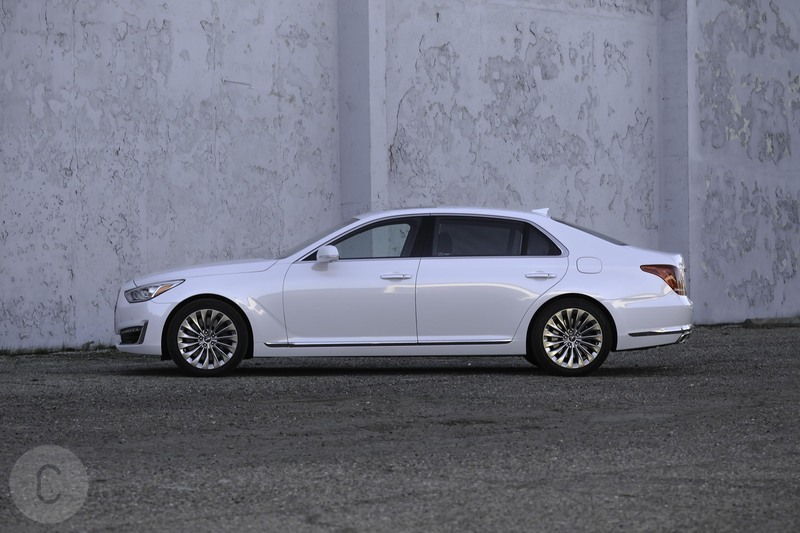 The Genesis G90 looks like a livery car, something that you would see pull up to a ritzy Hollywood club or to an embassy. 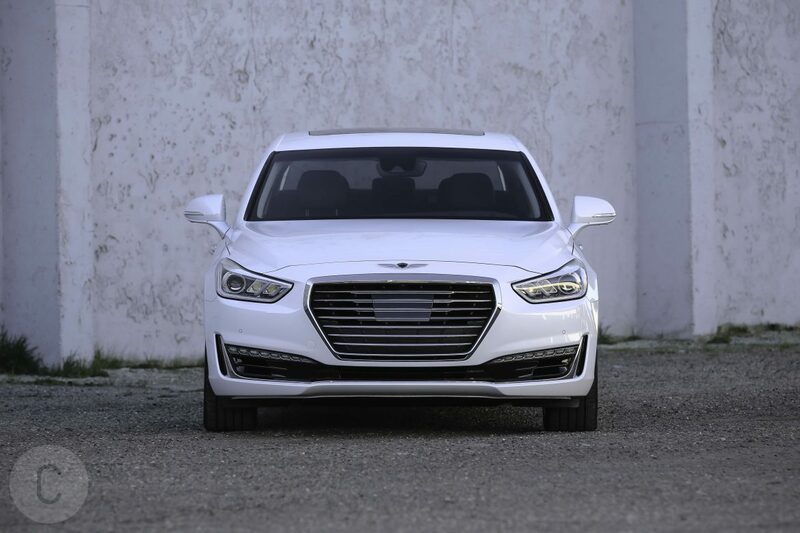 In the front, the hexagonal “Crest Grille” is the sedan’s face — and we are here to report it is quite an attractive one at that. The three-dimensional LED headlights are seamlessly integrated around it. The car’s curves are undeniably sleek and stately, very much on the mark with Hyundai’s vision for “Fluidic Sculpture 2.0.” There’s a feel with the G90 that its owner is not just upscale, but is a VIP or a government official. 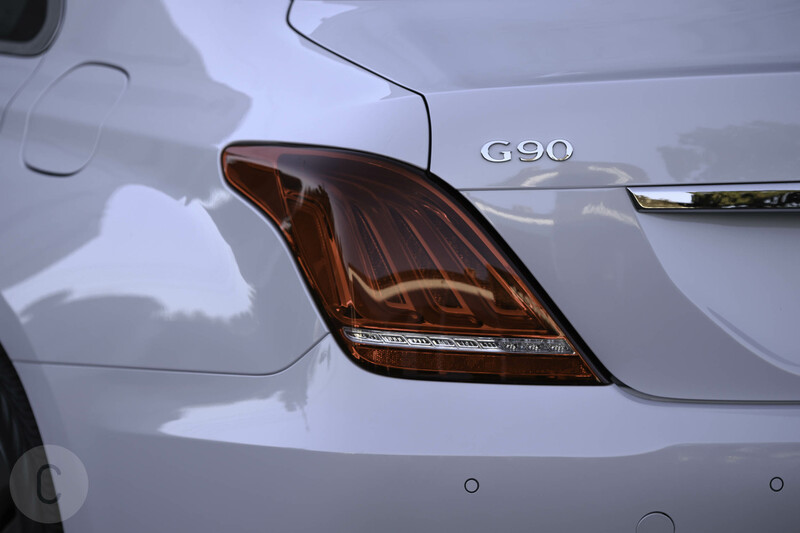 The G90 is the magnum version of the entry-level G80, in both the dimensions and presence. The 2018 Genesis G90 RWD 5.0 Ultimate doesn’t spare luxury inside any more than a private jet does. Hyundai’s designers carved out plenty of space inside this sedan. However, the G90’s guts are available in only two choices — black or beige — so this may become an area that its competitors have the upper hand. Our car came in the black interior colorway, which will cater to executives, legal eagles and similar corporate types. The use of high-quality materials tend to separate luxury from the economy and the Genesis holds its own here. The material used in the upholstery — Nappa leather — definitely feels like posh full grain genuine leather. Attention to detail here is immaculate, as the stitch line was created with an Austrian sewing company that specializes in premium car seats. The genuine wood trim was sourced from Germany and Italy. The seats have 22 power adjustment options, with a whopping 16 for the front passenger seat. All four seats have triple stage heat and ventilation, in addition to a heated steering wheel. On the technology side, the interior exudes excellence in and around the dashboard. The 12.3-inch HD navigation display with multimedia controller is the bright centerpiece on the dashboard, with driver controls and knobs neatly placed around the dash. A Qi wireless charging pad makes charging smartphones a breeze, and we loved that there is an alert to remind the driver when the phone is left on the pad when you leave the car. The premium sound system that Genesis calls Lexicon has 17 speakers with Quantum Logic Surround and Clari-Fi, which means the driver and the passengers are at all times in for an audio treat whether it’s a jazz standard or booming bass. A large subwoofer and an acoustic lens are included, rendering the acoustics in the Genesis just about as incredible as we’ve seen in any luxury ride. 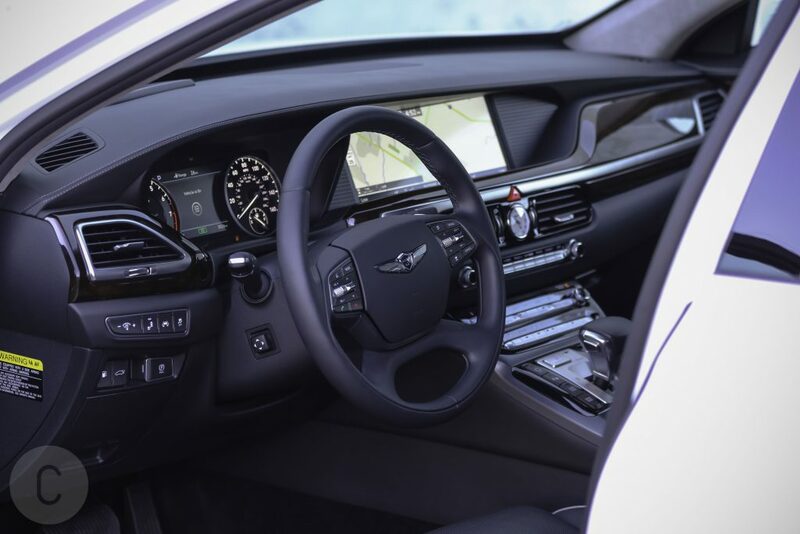 The limousine auras of the Genesis extend to the passengers, who will be looking at 10.3-inch HD monitors to peruse media content or access navigational information. The monitors tilt and offer excellent wide-viewing-angle. These monitors were a hit with kids but would also appease a discerning media mogul. Safety of the driver and the passengers is paramount to the Genesis and among the standout features are an 9-airbag system, Blind Spot Detection and Autonomous Emergency Braking. Smart Cruise Control is an amazing feature we particularly enjoyed, as it utilizes a radar to monitor the car’s distance from vehicles ahead and maintains a pre-selected speed and distance. For a hefty car like the rear-wheel drive G90, we didn’t exactly expect to be wowed by fuel efficiency. Surely enough, the EPA ratings are paltry at best. 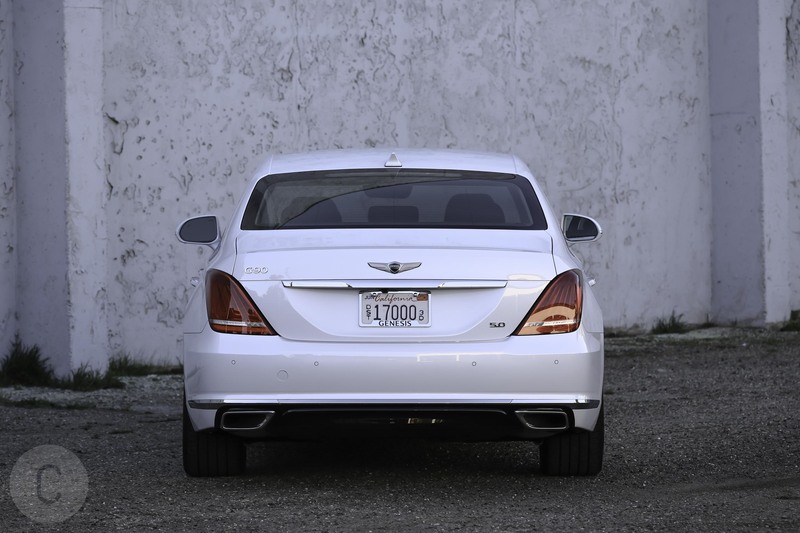 The Genesis RWD is rated at 16 mpg city and 24 highway, for an underwhelming average of 19 mpg. The all-wheel-drive numbers are just a notch lower, coming in at 15 city, 23 highway and 18 mpg combined. There is no hybrid powertrain, so this is the best it gets, folks. 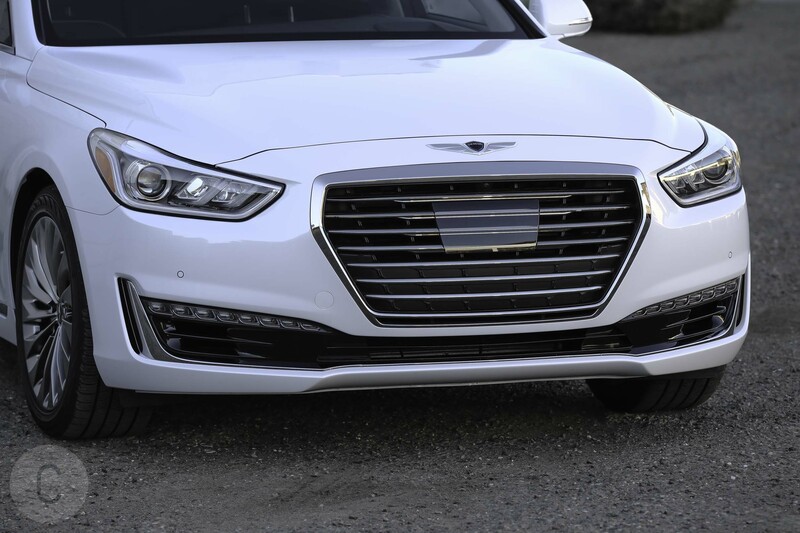 For all of its exterior sights, the Genesis packs a punch under the hood, too. The 2018 Genesis G90 RWD 5.0 Ultimate is bestowed with a 5.0-liter V-8 engine, which generates 420 hp at 6,000 rpm and produces 383 lb.-ft. of torque at 5,000 rpm. The drivetrain is controlled by an 8-speed automatic with paddle shifters. We took the G90 on rougher terrain and were pretty surprised with how well it performed. The car’s suspension responded well, although there was a noticeable difference from highway to bumpy roads and when pulling around sharp corners. 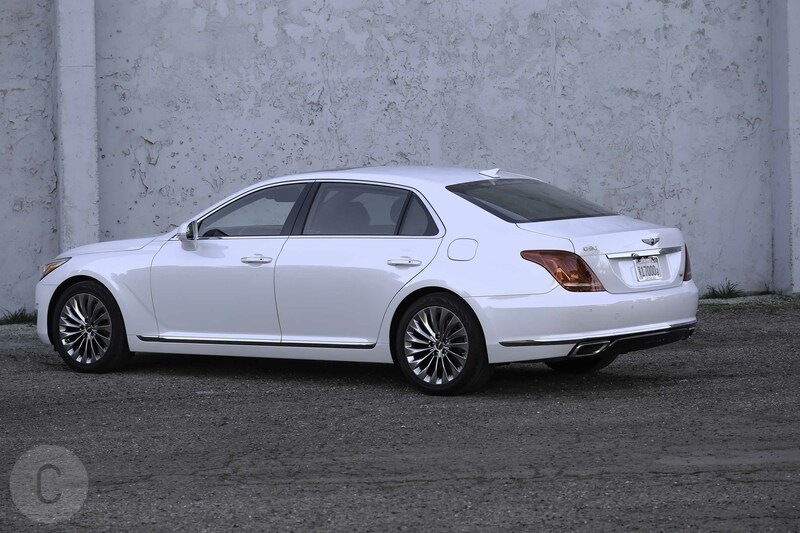 The G90’s acceleration in the V-8 is smooth and steady, completing the 0-60 sprint in 5.3 seconds – which lags behind the S-Class, 7 Series, Cadillac and Lincoln. Engine noise is barely heard inside the cabin, making for a very serene ride. The transmission proved nimble and responsive. The ratios had a tendency to lag through extreme maneuvers, but otherwise it performed well. 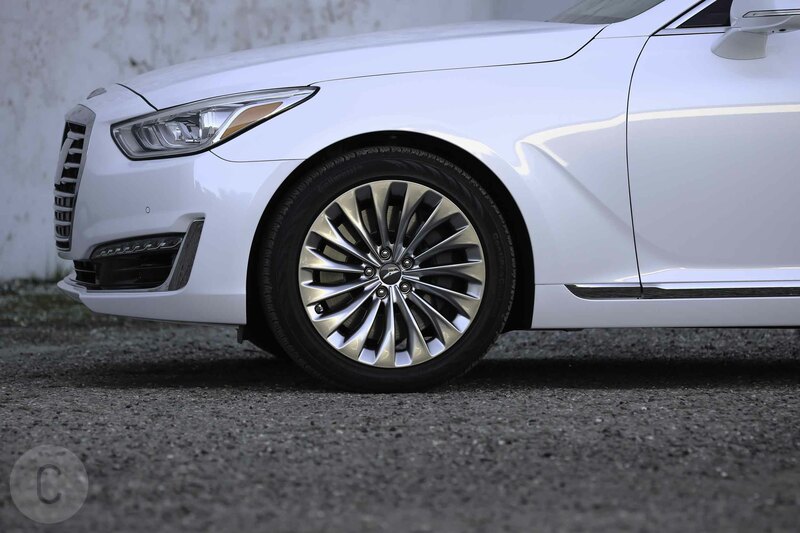 The Genesis’ electronically controlled shocks boost the ride exceptionally. Perceptive drivers can cycle through Comfort, Comfort+ and Sport to get the most out of the drive. For what it’s worth, the G90 is quiet, plush and a relaxing ride. Handling and steering are excellent, helping to offset body roll around tough corners. Although at 172 feet, the car’s stopping distance was longer than its competitors, the brake pedal was firm and responsive. Between the naturally aspirated V-8, steady transmission and braking, the Genesis’ performance more than justifies its asking price. Luxury rides don’t come cheap. With that said, a base price of $71,850 — with no options attached to increase that astronomically — means that the G90 is a luxury sedan for the more frugal of the upscale bunch. With the delivery fee included, the 2018 Genesis G90 RWD 5.0 Ultimate will set the buyer back a total of $72,825, while the AWD option will cost a nominal $2,500 more. What we liked: The G90 is an absolute bang-for-the-buck. 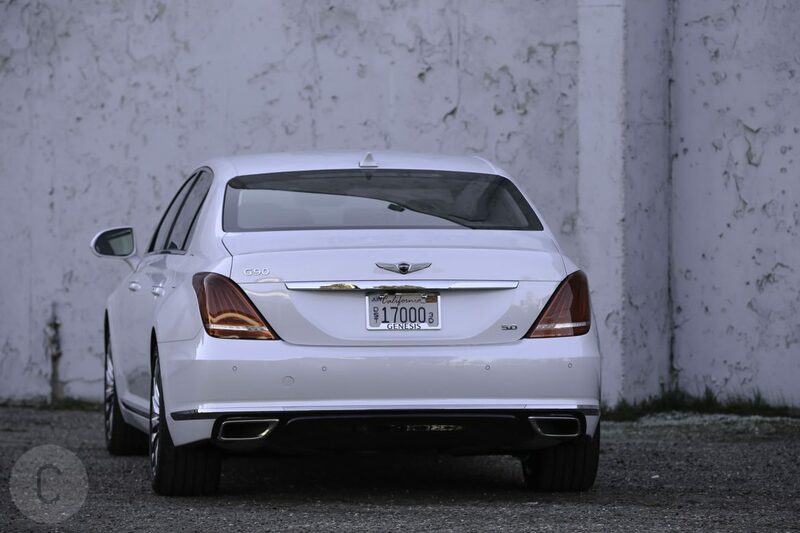 It’s not an off-brand vehicle by any means, either, as it’s posh leather seats, wood trim and plethora of technology features rival any luxury sedan. 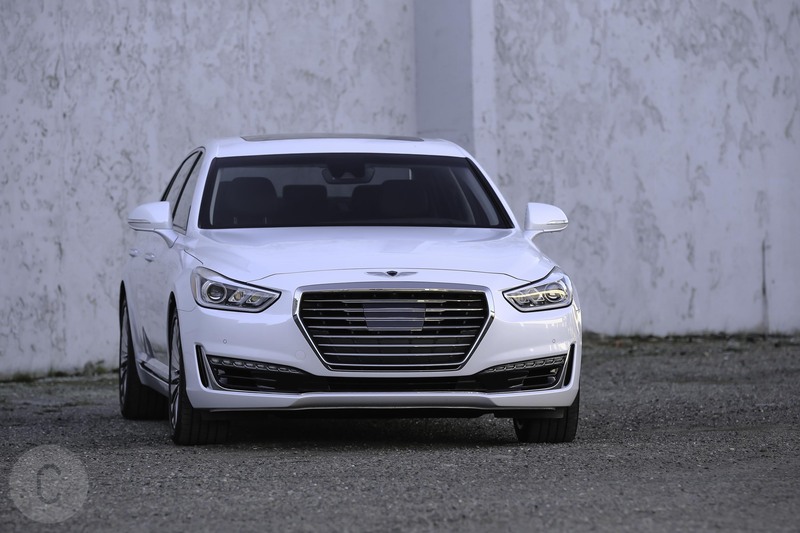 What we didn’t like: Hyundai’s Genesis is a newcomer to its segment, where rivals have staked out an advantage through brand awareness and design. The G90 looks a lot like its competitors, and while it’s not a flagrant swagger-jacking, it’s shapes suggests its willing to be a look-alike. 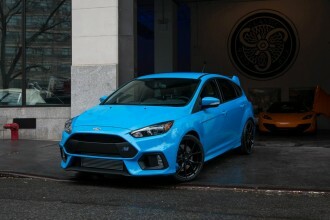 Whereas imitation may be the sincerest form of flattery, it’s not the greatest quality to have in an upscale automobile looking to make a splash. Whether the G90 actually competes with a veritable flotilla of European and Japanese luxury sedans — not to mention Tesla’s Model S — comes down to how much appreciation one has for the budget-friendly underdog. The G90’s total price is essentially the base price for the BMW 7 Series — before any upgrades — while 2018 Lexus LS starts at $75,000 and 2018 Mercedes-Benz S-Class starts at $89,000, meaning the higher-end versions will tip into the six-figures. Whereas the price gap is significant, the 7 Series and the S-Class fare only slightly better in highway fuel efficiency than the G90 — 28 mpg to 24 mpg, to be exact.